Big Time Rush and Cody Simpson will be in concert at the Amway Center on Tuesday, August 28th, 2012 at 7pm. Big Time Rush is a new arrival on the pop music scene. The group signed its first record deal and debuted in a TV series at the same time in 2009. 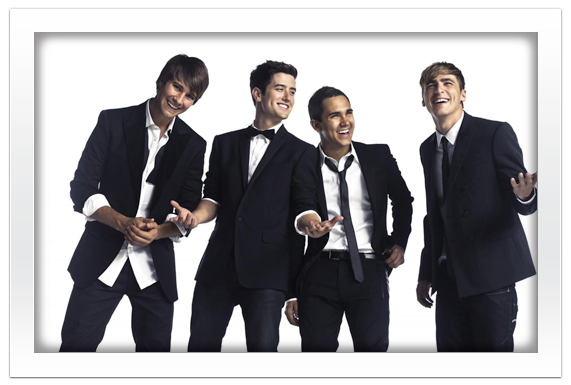 Their first single, “Big Time Rush,” was released in November, 2009. Big Time Rush scored its first top 100 single with “Halfway There” when it was released on iTunes in April, 2010. Their debut album, “B.T.R.,” debuted at no. 3 on the Billboard 200 when it debuted in October of the same year. This entry was posted in Concert and tagged Amway Center, Pop on April 8, 2012 by Orlando Concert Guide Staff.